unconventional love stories about faith Here are the initial reason to buy tickets at the Hong Kong Film Festival.Seems to me it's a stars lined up film. 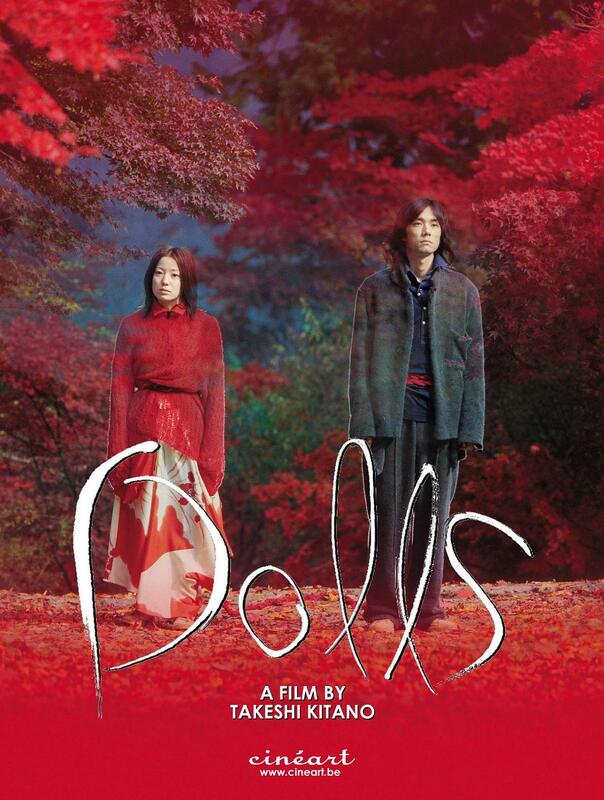 This is the first film I see from Takashi Kitano. And the synopsis on the HKIFF brochures mentioned that it is the most violent film from Kitano.I am no where to compare.However, I find a new way Kitano interpret the film-language then other film makers. 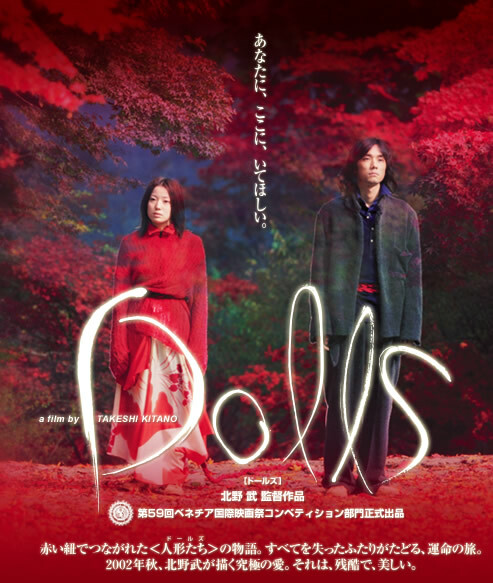 Three stories made up Dolls.Two young ordinary couple want to be together against all odds, big brother and her girlfriend who has been waiting for him in the park for so many years, a big fan of a female singer who tried to get close to his idol and be friend. Three stories intertwined in a slight way, but they have one thing in common - faith. 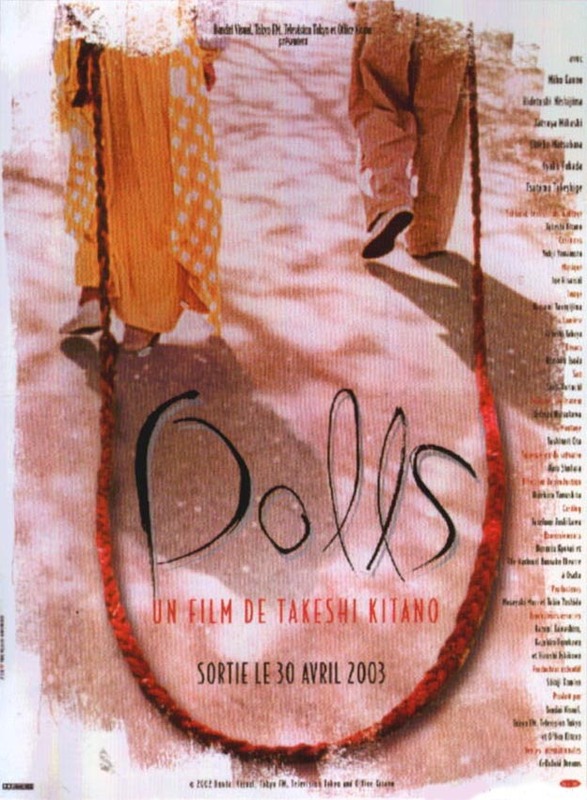 Kitano has stressed so much on the visuals, the costumes, the naturals view - from sakura, to the snowy Hokaido.They all make the visual of the film impressive.Red colour was presenting 'faith' throughout the film, such as the red rope that tied the young couple, the woman who waited in the park wears a red dress, fans of the female singer wears a red jacket.However, i found this irritating of such artificial serendipity.Like we see over and ove again the dead butterfly on the ground. 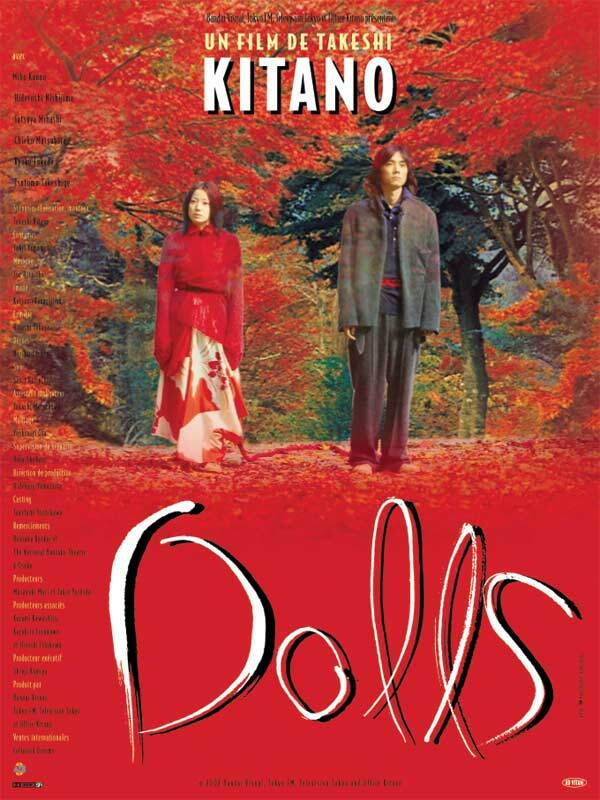 Although for me, it takes a lot of patience for the film as there is not much dialogue and many scenes are long and static, you can find new, refreshing elements in Kitano's film.Worth to watch.